MSRP $44,421 Lease for 36 months with $4,995 due at signing. Price plus tax, tag, license, dealer and $895 acquisition fee. No security deposit required, with approved credit. 10,000 miles per year. Additional fees may apply at lease end. Stk# KCP49591. Expires 4/30/19. MSRP $53,355. Lease for 36 months with $4,995 due at signing. Price plus tax, tag, license, dealer and $895 acquisition fee. No security deposit required, with approved credit. 10,000 miles per year. Additional fees may apply at lease end. Stk# KA397697. Expires 4/30/19. Available for well-qualified buyers with approved credit. Not all buyers will qualify. See dealer for details. If you’re looking to purchase your dream vehicle, you’ve come to the right place. At Jaguar Oklahoma City we pride ourselves on being the go-to dealership in the region. Our inventory is filled with the latest Jaguar models. Since opening our doors, we have kept a firm commitment to our clients. We offer a wide selection of new and used vehicles and make the car buying process as quick and hassle free as possible. If you would like financing options, we will help you find financing options that fit your needs. No matter your situation, you can trust that Jaguar Oklahoma City will get you into the vehicle you choose with professionalism and attention to your needs. 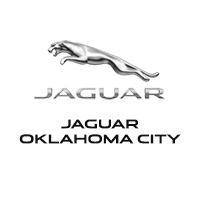 Visit Jaguar Oklahoma City or explore the site to find the Jaguar of your dreams.